Deptford SE8, on the South Bank of the Thames, is part of the London Borough of Lewisham and was a ford of the river Ravensbourne. For 300 years it was home to the first of the Royal Dockyards, Deptford Dockyard – a significant shipbuilding dock. Deptford flanks the areas of Brockley and Lewisham, Rotherhithe and New Cross..
Deptford’s name comes from the place where the A2 from Dover to London crossed the Ravensbourne at Deptford Broadway. Lanes School of Driving began in 1914. Lanes is well established in the local area and has taught generations how to drive. Lanes started as small venture but has thrived through the years to become one of the biggest independent driving schools in the UK. Lanes is renowned for providing the highest standards in teaching and benefits from its years of experience. Every student is different and Lanes will calibrate its lessons accordingly. Students often have very busy schedules. Lanes provides a flexible approach where lessons can be booked whenever students are free. Lanes believes in allowing each student to learn at a pace at which they are comfortable. Unlike some other driving schools, Lanes specialises in one-to-one tuition so that students can learn alone without facing distractions from others. Lanes boasts the most up to date cars with contemporary technological advances. This makes it much easier for our students to learn. Instructors can pick students up from home prior to each lesson. 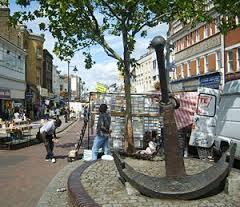 Lanes have been providing driving lessons in Deptford, SE8 for many years. Please call us today on 020 8166 5678 or click here to send us an email via the contact page. Lanes boasts an experienced team of highly qualified instructors. Each and every one is DSA registered as an Approved Driving instructor. The majority of our instructors trained with us right from the start of their careers. We stress the importance of the instructor-student relationship and each student is assigned the same instructor for the duration of their course. This enables each instructor to be completely aware of the particular needs of their student. Lanes have a team of driving instructors in Deptford, SE14. Please call us today on 020 8166 5678 or click here to send us an email via the contact page. Learning to drive can be daunting for beginners. Some female students would rather not learn in the presence of a male. We are sympathetic and we therefore offer female driving instructors on request. Our female driving instructors are very calm and understanding. They will not place undue pressure on their students. Most of our female students find that their lessons are more relaxed and enjoyable with a female instructor. Lanes have a selection of female driving instructors in Deptford, SE8. Please call us today on 020 8166 5678 or click here to send us an email via the contact page. It is not uncommon for students to express a preference for automatic cars over manual. Manual cars certainly provide greater driver control. Nevertheless, automatic cars are less intimidating for beginners. Beginners often repeatedly stall their vehicles. With automatic cars this is impossible. Automatic cars are easier to learn from and students often improve much faster with them. Lanes have a selection of automatic driving instructors in Deptford, SE8. Please call us today on 020 8166 5678 or click here to send us an email via the contact page.